“Adam” means “man” in Hebrew (as “human” rather than “male individual”), and quite apart from the deliberate wordplay in Genesis it is generally believed to have some kind of etymological link in Hebrew with “adamah“, meaning “red” and hence “red (=fertile and tilled) soil”. This would not be far-fetched, since our own English word “human” appears to derive from a Proto-Indoeuropean (PIE) root meaning “earth”, thus distinguishing men from the gods of heaven. One question for the “genealogical Adam” hypothesis of my last post, in which Adam is an historical figure and universal common ancestor, but not the first man, is how he gets to take the word for all humanity as his name. Is this not evidence that he is an allegorical figure, rather than a real person? Joshua Swamidass points out that there is no definition of “man” in Scripture, which precludes us from simply assuming some biological definition like “Homo sapiens” or “hominins” in our theology. It may seem elementary simply to say that “man” means what we think of informally as “the brotherhood of man”, if we’re neither slave-owners believing our chattels are sub-human, nor Communists classifying our opponents as “non-persons”. People are simply people – unless you’re one of those who legally declaring rivers or orang-utans to be people. But even the ancient history of words for “people” is a lot more convoluted than that intuition, and the Bible in its entirety is ancient history, and the early chapters of Genesis are very ancient history. I even wonder to what extent the very ancient world had a universal concept of “people” or “mankind” available to them, just as equally “obvious” ideas like “world”, “universe”, “nature” and even “air” seem to have developed much later. 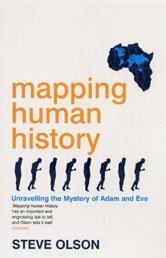 I was reminded of this by mentioning Steve Olson’s 2002 book Mapping Human History in the last post. Skimming it again, I came across his treatment of how the Bantu-speakers of West Africa, acquiring several technological advantages around 2,500 years ago, migrated across Africa and displaced the forest dwellers (pygmies) and bushmen from most of their range to become the dominant group on the continent, as they are to this day. Olson points out that “Bantu” simply means “People” – with the implication that non-Bantu were not considered people. Even today, it seems, “Pygmies are not considered citizens by most African states and are refused identity cards, deeds to land, health care and proper schooling.” Various tribes still reputedly enslave the Batwa forest people – “Batwa” being a word derived from the Bantu for “outsider, foreigner”, even though they are the aboriginal inhabitants. Elder John B Bigeye stated that his people call themselves “Denesuline”, the people, or the real people. Memories of this habit are preserved even in civilised England, together with a living example of how such a restricted idea of humanity develops universality as culture becomes wider. 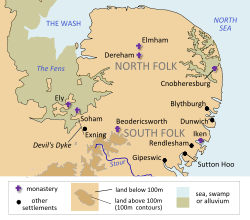 Our two most easterly counties are Norfolk and Suffolk, being the territories of the “North Folk” and the “South Folk” – known as the Angles to their neighbours, the Saxons and Jutes – whom the Angles evidently did not regard as “folk”. History saw “folk” gradually acquire the meaning of “all people” (until the less folksy and Latin word “people” largely replaced it). Manu is a term found with various meanings in Hinduism. In early texts, it refers to the archetypal man, or to the first man (progenitor of humanity). The Sanskrit term for ‘human’, means ‘of Manu’ or ‘children of Manu’. In later texts, Manu is the title or name of mystical sage-rulers of earth, or alternatively as the head of mythical dynasties that begin with each cyclic kalpa (aeon) when the universe is born anew. There are shades of Adam as archetype there – in the oldest texts of Hinduism, it is the archetype who names the race, not a generic descriptive term that is applied to an allegorical figure, as many conclude today about Genesis. What, then, about the ANE in which Genesis arose? I’ve written in the past about how to the Babylonians, “the world” was conceived as being principally their land, though they were fully aware of countries beyond. Their kings called themselves “king of the world”, or even “king of heaven and earth.” And remember that when the gods in the myths created mankind to serve them, it was all about mankind serving the temples in Eridu or Shurappak, not about guys in Orkney building megaliths or Chinese worshipping ancestors. The Sumerians referred to themselves as “the black-headed people”, and to their land as “the place of the noble Lords.” Interestingly as the Akkadian tongue replaced Sumerian (reflecting a more ethnically mixed society) people tended to be referred to by their ethnic origins: the culture had been compelled to begin to see people in a wider sense than just “me and mine”. 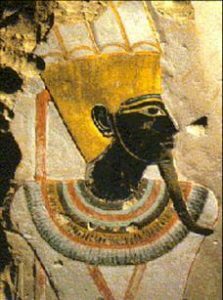 The Egyptian sense of superiority was given religious validation, as foreigners in the land of Ta-Meri (Egypt) were anathema to the maintenance of Maat—a view most clearly expressed by the admonitions of Ipuwer in reaction to the chaotic events of the Second Intermediate Period. Foreigners in Egyptian texts were described in derogatory terms, e.g., ‘wretched Asiatics’ (Semites), ‘vile Kushites’ (Nubians), and ‘Ionian dogs’ (Greeks). Egyptian beliefs remained unchallenged when Egypt fell to the Hyksos, Assyrians, Libyans, Persians and Greeks—their rulers assumed the role of the Egyptian Pharaoh and were often depicted praying to Egyptian gods. So could it be that in the very coining of the word “adam” to mean “man”, the Hebrews were primarily following the common practice of referring to their own people’s origins, rather than to “worldwide humanity”? If the Sanskrit examples mean anything, the etymology of the word could derive from the belief that their first founder was either created from the soil (as described in Genesis), or was known as the cultivator of it. Since Hebrew was scarcely, if at all, a language at the time of Moses, it’s at least possible that their word for “man” derives from their foundation story and its hero/antihero, Adam. This would appear at first sight to make Genesis an uncomfortably ethnocentric text. The difference is that, whereas most tribal self-designations cover the fact that they are no different from everybody else, Adam actually was different: he dwelt with the living God and, until he blew it, had access to eternal life. Granted that, just as “folk” became generalised in English to mean the “just plain” variety rather than only the tribe of Angles, Israel generalised the word adam to include “all men”, so that to Paul, “anthropos” was a suitable Greek translation of universal scope for Hebrew “adam“. According to the genealogical Adam hypothesis, in any case, Adam’s progeny would by that time probably have encompassed the entire human race as we understand it. But there is actually evidence within Genesis itself of a kind of universalism that is, perhaps, unusual for those far-off times – at least, it is hard to think of a parallel in ancient literature. That is the Table of Nations of Genesis 10. In this, the spread of mankind (adam) in a universal sense is expressed by the founding of many nations by Adam’s descendants, via Noah and his sons. To us, the table seems an aetiological requirement to explain how mankind spread around the world. But as we have seen, other cultures never seem to have realised such a necessity, making Genesis somewhat unique amongst early texts. Maybe then, the very concept we have of “mankind”, and take entirely for granted, only came to us through Adam. 4 Responses to What is man – no, really? Excellent post Jon. Keep them coming. Learning a lot from you at a critical moment. Your wish is my command, Joshua – next post imminent! On a number of fronts such a comment is an assumption, based on later biblical revelation, and 2,000 years of interpretive assumption arising therefrom. My piece suggests that the idea of a universal mankind may not even have existed in human thought when Genesis was written. And even apart from the “genealogical model”, the original spirit of the Genesis account is that Adam was the father of the Hebrew nation, for which the story was written down as a foundation account. Apart from anything else, the whole sin/exile theme parallels Israel’s rebellion in the wilderness as both a warning and a prophecy about their tenure of the promised land. Any universalist message (and the Table of Nations, as I have said, is one, as is the call of Abraham) must be seen through the lens of Israel’s calling on behalf of “many nations”, whose outworking was many centuries in the future, prior to which the emphasis God chose for Israel was exclisive holiness. This calling, too, deals with the objection that there must have been sin before Adam (speaking archaeologically), if man had moral consciousness, so that we cannot believe in a genealogical Adam. But in fact, the Genesis story no more says that it’s about the origin of moral consciousness than it says it’s about selfishness. It’s about disobedience to a specific command of God not to seize divine wisdom, disobedience to which not only estranged Adam and his descendants from God, but escalated into rebellion to all the moral precepts contained in that wisdom. “Sin is not imputed where there is no law”, says Paul. Those who see the bible as Gods revelation see mankind as needing two original people. So Adam was a real man and first. Indeed there was no reason to have a name other then his title in nature. who else to segregate himself from? So Adam probably means from the earth etc. Yes i noticed that so most primitive peoples always call themselves THE PEOPLE. As if the only people. its when people bump into each other this doesn’t work. Yes others often gave names to others. Eskiomo did mean enemy or something. Welsh meant foreignor and so Cornwall(Corn,,Welsh). I don’t agree about your Egypt stuff. They were clearly of ham and not Semitic. Not negroes either. any gene thing is worthless if DNA can be instantly changed upon migration to a area. Egyptians might have “Semitic” dna but only as a sign of a common humanity. the negroes changed their dna upon entering a sunny area. yet they were the relatives of Egyptians. This is a major point in origin subjects. There is no evidence of hominids etc outside our human group. any evidence presented is laughingly worthless.